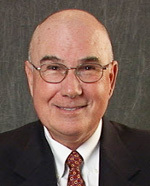 Dr. Kosta J. Adams, D.D.S. Our jaws do more than chew, grind and tear our food. They also help us swallow and enable us to experience normal speech. And, they contribute to our basic oral health. But most of us take our jaws for granted. Orthodontics dentists know that when jaws meet correctly and teeth are configured properly, it's called occlusion. When things don't fit, that's malocclusion. About two million Americans suffer from malocclusion. 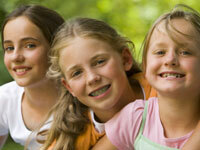 Tooth braces can help improve the effects of malocclusion and other orthodontic problems. For 20% of us, jaw problems are a handicap. For 5% of us, malocclusion can be considered a physical and mental hardship. Tooth braces and orthodontics make it possible to eat, breathe, and communicate normally. Tooth braces can literally affect the quality of life in the most fundamental ways and give you the smile you have always wanted.